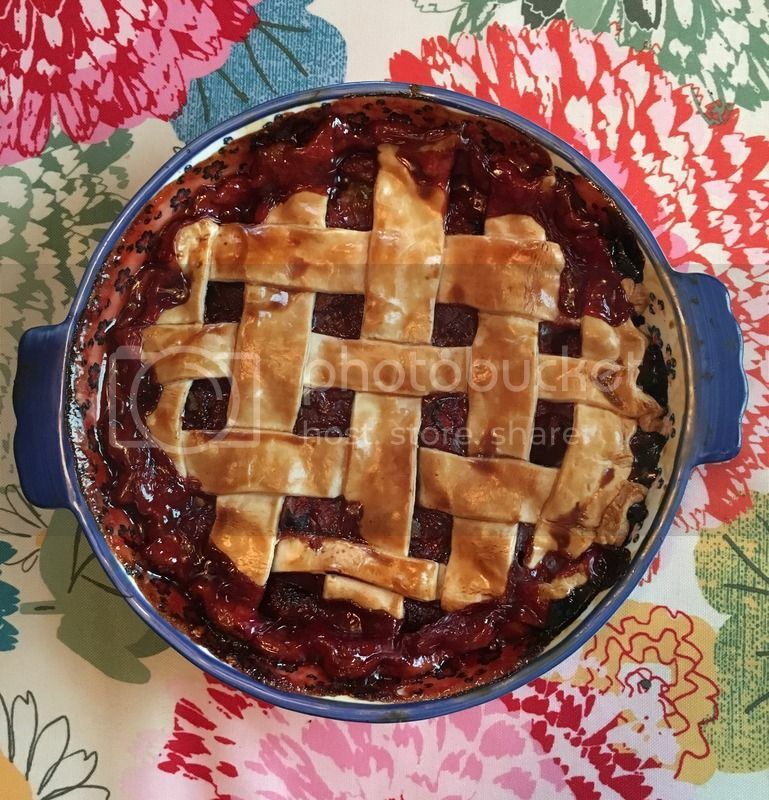 I always feel the need to make a strawberry rhubarb pie when the weather starts getting warmer. To me, this pie is the sign that summer is finally around the corner. I don't really have a go-to recipe, so I scoured the internets and came across this recipe from Epicurious, and it was awesome! The only changes that I made was adding a lot more berries and a little less rhubarb than they called for. Oh, and the pre-made pie crust because #lazy. Directions: Preheat oven to 400°F. Combine first 7 ingredients in large bowl. Toss gently to blend. Spoon filling into pre-made pie crust. Cut second pre-made pie crust into strips. Arrange 7 dough strips atop filling, spacing evenly. Form lattice by placing remaining dough strips in opposite direction atop filling. Trim ends of dough strips even with overhang of bottom crust. Fold strip ends and overhang under, pressing to seal. Crimp edges decoratively. Brush glaze over crust. Bake 20 minutes. Reduce oven temperature to 350°F. Bake pie until golden and filling thickens, about 1 hour 25 minutes. Transfer pie to rack and cool completely.